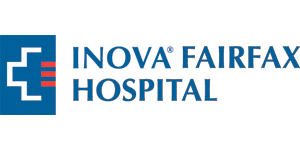 In a spirit of collaboration with INOVA Fairfax Hospital, Westminster School is offering a scholarship opportunity to the children and grandchildren of INOVA Fairfax Hospital employees. The renewable Merit Scholarship is in the amount of $8,000 per year, and is open to students entering grades 3 – 7. The potential value of the scholarship totals $48,000. For more information please click here to download the brochure or contact Nancy Schuler at [email protected]com. Any INOVA Fairfax Hospital employee’s child or grandchild who is not currently enrolled in Westminster School and who will be entering grades 3 – 7 in fall 2017 is eligible to apply for the Merit Scholarship. ​To request general information about Westminster School, click here. The Westminster School / INOVA Fairfax Hospital Collaboration Merit Scholarship application process is twofold, and all requirements and materials for both applications must be fully completed and submitted no later than May 15th, 2017. Applicants must complete the application process for admission to Westminster School. Click here to apply. Applicants must also complete a separate application for the Westminster School / INOVA Fairfax Hospital Collaboration Merit Scholarship. Click here to fill out the online portion of the application (recommended), or click here to download the application form to be sent in. Admissions and scholarship decisions will be issued mid-June, 2017. Students who are selected for a Merit Scholarship may also apply for additional financial aid. Applicants who are admitted to Westminster School but who are not selected for a Merit Scholarship may choose to attend Westminster School, and may apply for financial aid. Click here for information about applying for financial aid. Scholarship recipients will be selected on the basis of multiple criteria, including: strong academic performance, exemplary citizenship in school and community, response to scholarship essay questions, and other information provided in the student's admissions file. Scholarship applicants are encouraged to provide any additional information that helps to highlight their passions and enthusiasm for learning. Once awarded, the Merit Scholarship is renewed annually through 8th grade, as long as the student remains in good standing in both academics and citizenship.